Valentine’s Day is just around the corner. For most people, it’s a day full of love and compliments and flowers and chocolate. But what happens when the flowers die, the candy is eaten, and the gifts are pushed to the back of the closet? Instead of buying into the commercialism of this holiday, let’s use our time and resources to create a kinder, more inclusive day for everyone. Bullying behavior can be very subtle and when it happens, we may not even recognize it as bullying. Gossip, rumors, exclusion, name calling, are all forms of bullying and can come in the form of verbal abuse, emails, texts or social media posts. For young children in elementary school, it can be especially painful when valentines are handed out or gifts such as candy grams are delivered throughout the day and they are excluded from receiving any or if others get more than they do. When the person they have a “crush” on doesn’t bring them a valentine and the others start calling them names or start to gossip behind their back. If a child does not have a social circle at school, this can be a very lonely day for them during the celebrations. Students, parents and teachers can make Valentine’s Day fun and inclusive with just a little bit of creativity. If you are a teacher, make sure that whatever activities you have planned will include everyone. 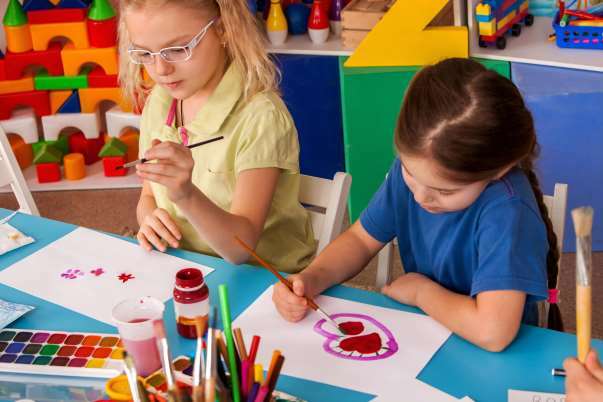 All students can engage in crafts, games and story time. This holiday is a great opportunity to talk to your class about diversity and inclusiveness. If any items are to be distributed, make sure that parents are ware of your classroom policy that everyone should be included. The Wrinkled Heart activity is a fun and easy activity for any elementary school class to do. There are many Valentine’s Day story books that can be used for a read aloud activity. I found Valentine’s Day math puzzles, too! If you are a parent, make sure that whatever your child brings to school will create a positive experience for all students in the classroom. Use these last few days before the holiday to talk with your child about how your family will celebrate the holiday and how they can help prevent bullying in their classroom. Save any “special” gifts for outside of the classroom. Whether you are a parent, caregiver or teacher, it’s important to talk to children about bullying. If you want some ideas on bullying and Valentine’s Day, check out the Bully Crisis pinterest boards for inspiration. You can also check out our Random Acts of Kindness February Calendar blog February for some inspiration.